On a warm summer evening Nathan and Megan were married at Paradise Springs, located in the beautiful Willamette Valley of Oregon. 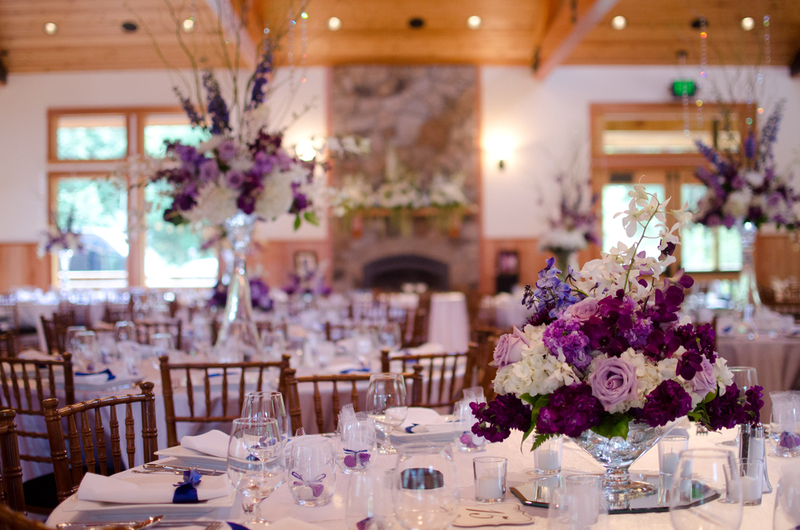 A fresh, elegant color palette of purples, royal blue and white florals perfectly complemented the venue. An elegant carpet of swirled petals started an evening with family and friends. Dinner and dancing under the stars provided the ending to their dream wedding. Thank you to Chris from Becerra Photography for capturing Nathan and Megan’s dream wedding come true!